If you are renovating your home and plan to stay there forever—or at least for a very long time—then it’s fine to make decisions based on your own particular preferences and tastes, no matter how unique they may be. 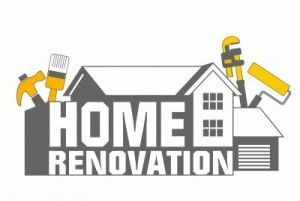 However, for most people contemplating a renovation, there is at least some concern about how the change may affect the property’s value. In other words, will this investment pay off when it comes time to sell the house? A round-up of expert opinions only reinforced the common mantra that homeowners often hear from those in the real estate and construction fields: focus on the bathrooms and kitchens. Splurging on higher-quality appliances and materials is seen as a worthwhile splurge, as is opening up the rooms to make the area seem more spacious. On the other hand, spending money to add a pool or install carpeting will likely be a financial misstep, the experts say. The same thing goes for converting a bedroom into something that is custom-geared toward your specific interests. If you are planning a remodel, we can help you consider which features can add more value to your home if you eventually decide to sell. Contact us to discuss your project.